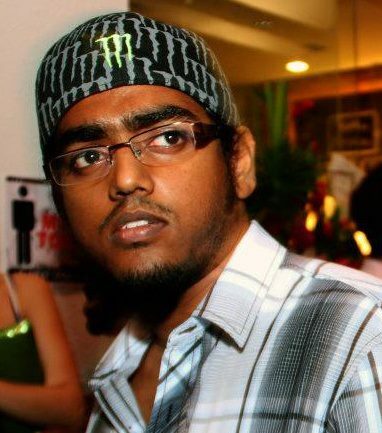 Mugunthan Loganathan is young Malaysian filmmaker, whose short film, ‘Qing Yi’, was a finalist for the BMW Shorties a number of years ago. Until now, though, that work remains a fairly intriguing film, and so we figured, why not interview the main man himself? Luckily, we found in Mugunthan a filmmaker who’s more than happy to discuss not only that film, but his approach to films and filmmaking in general. Hi Mugunthan! Tell us a little bit about yourself. Who are you and what do you do? Hi! My Name is Mugunthan. I would call myself a part-time filmmaker. At the moment, I’m the Content Producer in Mediasaya Sdn Bhd to put food on the table. I believe I’m still working my way up the ladder, and hopefully one fine day I’ll be able to call myself a full-time filmmaker. What got you interested in films and filmmaking? Was there a film or filmmaker whose work inspired you in this regard? I love watching stage plays during my school days. I had this thing for Chinese opera. 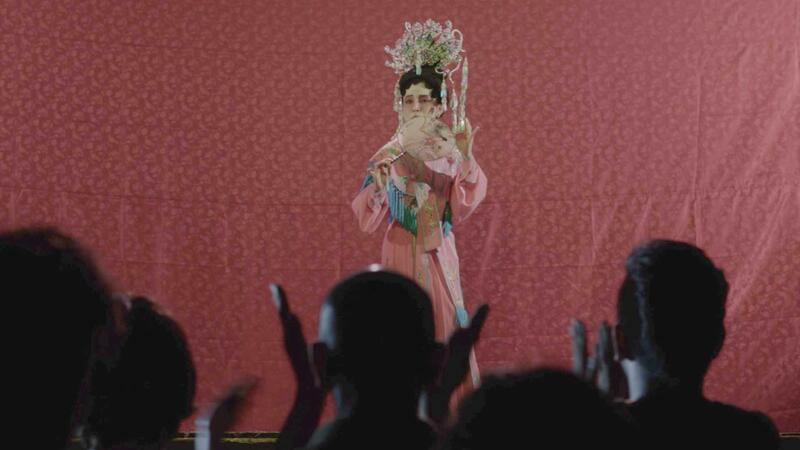 I remember every Hungry Ghost Festival I used to watch the Chinese opera. I also had a chance to play a part in one of my school plays in the latter stages of my secondary school years. It was during that time that my interest for conceptual art and performing art grew in me. There also came a time when I used to have a habit of writing random stories that I had in mind or even a certain experiences that I faced, see or even heard. Eventually that turned into a habit, which not many people know I still do from time to time. At about the same time filmmaking started to interest me. It was one of those things that made question “How was that done?” or “Why would they do it like that?” That was about the time I realise that this was what I’m going to do with my life. Along the way, many films and filmmakers made me fall in love with filmmaking. Films like ‘The Pianist’ by Roman Polanski, Francis Ford Coppola’s most celebrated ‘Godfather’ trilogy and David Fincher’s films like ‘Se7en’, ‘Zodiac’ and ‘Fight Club’. Ron Howard, who made ‘A Beautiful Mind’, ‘Cinderella Man’ and ‘Apollo 13’, as well as Martin Scorsese, the director of ‘Raging Bull’, ‘Goodfellas’ and ‘The Aviator’, are also filmmakers I looked up to. I also like maybe all of Christopher Nolan’s films and other filmmakers such as Alfonso Cuaron, Alejandro Gonzalez Inarritu, K. Balachander, Mani Ratnam, Vetri Maaran, Kang Je-gyu and many more! They have inspired me a great deal. Once you decided on doing this more professionally, how did you get about kickstarting your career? Did you just pick up a camera and started shooting, or was there a more measured approach you adopted? My dad got me a camcorder when I was 18 I think, it was a JVC Everio. So within a few months of shooting random stuff like the birds, ants, sunrise and time lapses, I just thought of making a short film. What was the first film you made, and how did that come about? I asked for a favour from my cousin and uncle, and we made a super boring film called ‘Dead Memory’. It’s about a guy who is seeing a double of himself wherever he goes and eventually realises that the double is the memory of himself and that he died a few hours ago. It was a silent film so I had about one day of planning and scribbled the story with my cousin. The very next day we went out to shoot it. I notice you took part in the first KL 48 Hour short film competition. What got you interested in this, and what was the experience like for you? The KL 48 Hour team was in our college to promote its inaugural short film competition, so I immediately signed up for it. I gathered my friends and had wanted to see how far I can go. As for the experience, I have to say it was challenging in terms of time management; to be honest, that was the exact time I learnt much about team work and how it can make or break you. You studied at Kuala Lumpur Metropolitan University College. What did you learn there that was most useful in advancing your career as a filmmaker? One of the first words I learnt in KLMUC was ‘rapport’. A filmmaker or anyone in the film industry for that matter has to give enough importance to having a good relationship with anybody you work with from the industry. I’m still sticking to it till now, because that’s the only way it keeps you getting jobs. While you were there, you made a PSA called ‘Stay Fit’, which won at the Malaysian Students Film Festival in 2012. How did winning at the festival benefit your career? It was officially the first award or recognition I received for my work, so it will always be the turning point that I want to look back to. That moment keep reminding me that this was what I was meant to do with my life. After that, you made a film call ‘If Books Could Speak’. Can you tell us a little bit more about that film and how it came about? It was an idea I had a long time before I actually started writing it. I had the story scribbled down after reading about Dutch painter Vincent Van Gogh. 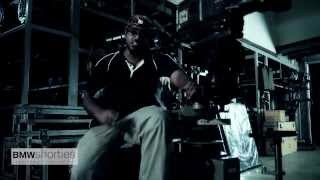 When that year’s BMW Shorties was launched, I made a short film out of that scribbling. I always felt that ‘If Books Could Speak’ could have been much better. I may actually re-shoot this film, so watch this space. It highlighted the importance of reading as source for inspiration. Many filmmakers cite the same thing, and I wonder whether there are any books you yourself turn to for inspiration. Yes, definitely. Books, or any source of reading for that matter, plays an important part for any filmmaker. I’m reading this book by Balan Moses, ‘Brickfields and Beyond’, and Khoo Kheng-Hor’s ‘Sifu’. There are certain portions from both these books that are really inspiring. I even made some scribblings based on a few things I read from them, so hopefully one day I’m able to make a short film out of it. Right now, you are most well-known for your BMW Shorties finalist, ‘Qing Yi’. How did you get the idea to make this film? 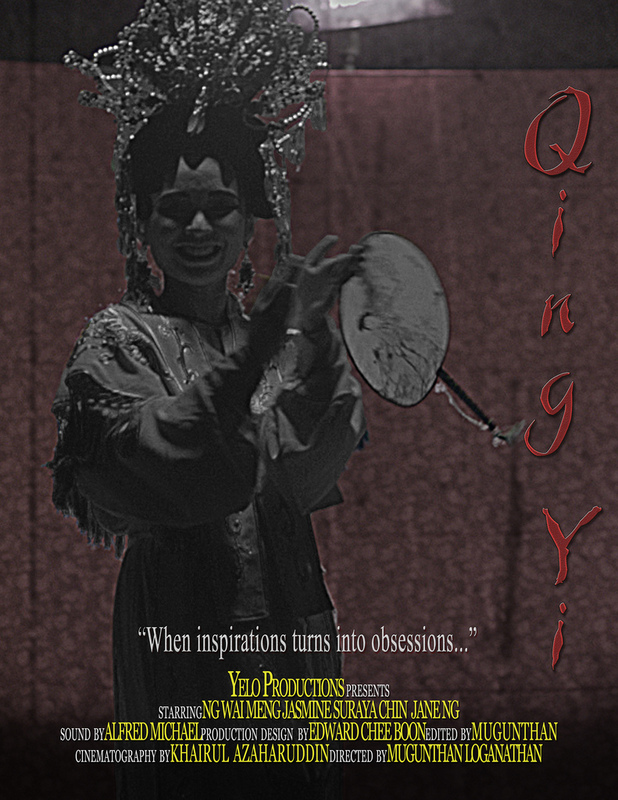 ‘Qing Yi’ was loosely based on my friend’s grandfather’s obsession towards the female characters in Chinese opera. So me and the cinematographer of the film [NAME] did some development from that idea and eventually Qing Yi was born. According to the director’s commentary for the short film, last year was the fourth year you took part in BMW Shorties, but it was the first time you became a finalist. What was the difference between ‘Qing Yi’ and your previous productions? Well, I can strongly say that only in ‘Qing Yi’ I had the privilege to work with the support of a well-known film equipment rental house. At the same time, I was a more matured filmmaker, having learnt from all those mistakes, so to speak. 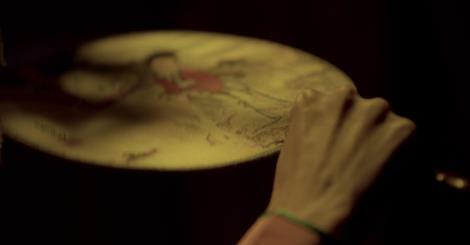 The previous years gave me enough experience to pull off a film like ‘Qing Yi’. I always believe as a filmmaker we keep learning and developing. The learning never stops. You also mentioned how you came in ‘cold’; that is, you had no clue with regards to the culture surrounding the Qing Yi character, as well as the language (Cantonese) itself. What kind of research went into the making of this film? Oh yes, almost a month full of research. The research was solely based on the characteristics of Qing Yi and how much it plays a part in the local Chinese opera scene. As far as the language was concerned, it was a word-to-word translation done just a few days before the shoot. Even during rehearsals we had a few lines of dialogue changed due to the intonation and accent of the Cantonese language. In researching for the film, was there any other film, Malaysian or otherwise, that became a useful reference point for you and your crew? Yes, I can say that ‘Black Swan’ by Darren Aronofsky did give us a little bit of inspiration. Your film featured a male character who desires to perform as ‘the perfect woman’. Given the relatively sensitive subject matter in a local context, how did you direct your performers? Were there any changes from your usual style, perhaps? Well, the truth is, the main actor pulled out a couple of days before the shoot. Luckily, we managed to get an actor who was interested to do the role, but he wasn’t ‘built’ for that character, if you understand what I mean. Having said that, there was a certain amount of characteristics in the actor himself that was very mysterious and unique, so we tried to experiment that uniqueness in him for the character Ho Chan. To be fair, I think it worked. Based on experience, a difference in language does make things more challenging than usual. How did you overcome this challenge? During the rehearsal, I made sure I understood every single word of the lines the characters in the film spoke and also I wanted to get the accuracy in the pitch. Even though I realise it wasn’t as original as it might have sounded, I think I got close. Going beyond the language, tell us about the film’s most challenging moment. I have to say directing the lead actor to move like Qing Yi was tough. The scene in the house where Ho Chan backs the camera and moves to the flow of the music took us 36 takes, just to get him moving like ‘the perfect women’ herself. Of course, it is not all doom and gloom. What was the moment that made you feel, “Yes, this is all coming together nicely”? Personally, there is an incomplete feeling I have about the film ‘Qing Yi’, but overall I think it came close to my expectation. Even after I finished editing it, I kept watching it a few hundred times to see if I’m getting the feel of what I wanted to portray but something kept bothering me. So I had a preview and called up a few friends, the cast and crew and people from the rental house itself. Once the credits rolled up, everybody just clapped. That’s when I can say I was confident that ‘Qing Yi’ will do OK in the competition. Going beyond the cast and crew members, what kind of audience reaction have you received for this film? Right after the top 10 was announced, I had many unknown and some well-known people sending me Facebook messages, congratulating me of course but some questioned the ending of ‘Qing Yi’. What kind of impact did the BMW Shorties have on your career? Well I have to say being nominated in the Top 10 gave me enough recognition. It stays as one of my highest achievement in filmmaking so far but I intend to change that soon. At the moment I’m the Content Producer for Mediasaya Sdn Bhd, and at the same time I’m doing a few freelance video projects. But I’m planning to make another short film soon and another after that. I want to see how far I can go with that. The ultimate dream, however, would be to make a feature-length film. You’re a Liverpool fan. In your opinion, which Liverpool player would be the ‘perfect woman’? This is a good one. Well Qing Yi is a virtuous woman, a perfect woman with high moral standards. In that case, I can only think of one Liverpool player who sets the highest of standards both on and off the pitch. 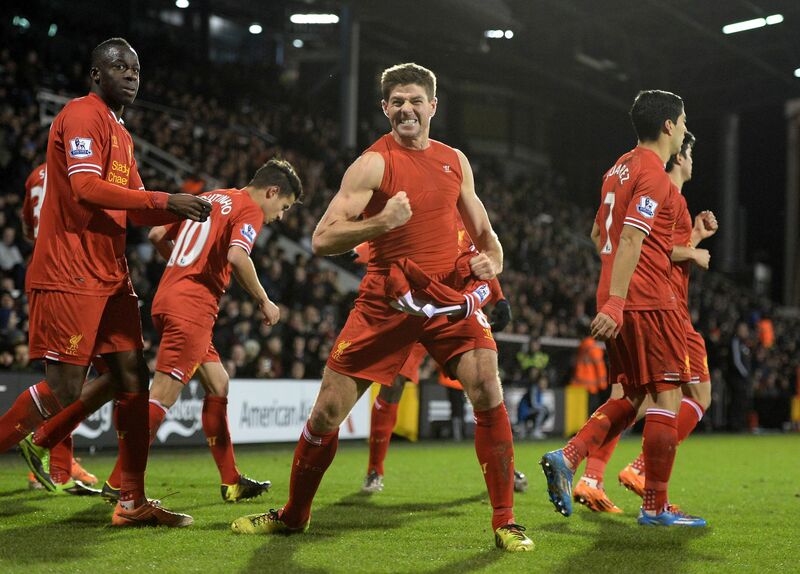 It is the Liverpool Man himself, Steven Gerrard. Unfortunately you only have a few months left of the Liverpool Man at Anfield. Anyways, thanks very much for your time! Hope I answered all your questions, thank you for interviewing me. It’s been a pleasure.